The summer RV season is underway, and rising temperatures mean it’s time to stock up on some new RV accessories. 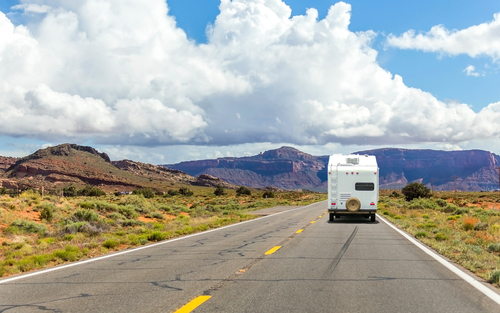 The following are a few of the latest and greatest summer RV accessories available right here at our Fretz RV online parts store. Our Fretz RV online parts store is stocked with a huge selection of RV awnings for summer. This Carefree Campout awning is one of the easiest to set up in the industry, and the self-storing arms and braces mean it’s easy to put away too. The awning’s heavy duty vinyl canopy is ready to endure the elements, so all you have to do is sit back, relax and enjoy the summer weather. Not all parts of summer camping are pretty. Whether you’re cruising down the road or set up at the campsite, bugs are bound to collide with your RV. This 22-ounce Bug Blaster formula cuts through bugs that have been baked onto your RV for months. It doesn’t leave a film and is ideal for gel coats, fiberglass, decals and more. Even better, this top-quality Bug Blaster costs just $13.32 at our online parts store. What are you waiting for? You don’t have to wait for us to open our doors to shop for all of the best summer RV supplies. Our Fretz RV online parts store is open 24 hours a day and seven days a week.